Come enjoy time with your friends and family while creating a masterpiece. Our teaching artists will instruct you step by step through the creation of an artwork. Choose from many different projects. Bring your own drinks and snacks, sit back and relax in this no pressure fun studio environment. Explore your creative side with us. Please call us to schedule your next gathering or special event. We can tailor the party to your needs. Q. 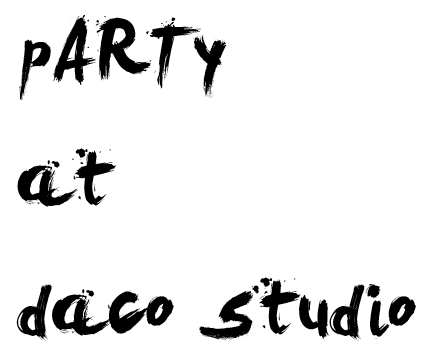 What is a a pARTy at daco studio like? A. In a fun, relaxed, social group setting, an artist will guide you step-by-step through replicating the featured artwork. Whether you are an aspiring artist or just looking to explore your creative side, you are sure to go home with a painting that is uniquely yours. Events are about 2 hours with breaks. Q. What time do I need to arrive for a class? A. We recommend arriving 15 minutes early to sign in, set up your snack and drink, and pick the seat of your choice. A. We provide all the materials you need to have a great time including: Artist, Canvas, Paint, Brushes, Easels, and Aprons. Q. Can we bring food and beverages? A. Yes, please bring your own drinks and snacks to have during the art time. If you would like to have a picnic for a small group outside on the grounds before or after the event that is ok, however, we do not have the ability to accommodate tables and chairs on the grounds. Blankets are permitted for picnic. A. Aprons are provided, but we recommend wearing something you wouldn't mind getting paint on. Q. Do I need to sign up in advance? A. Yes. You can register on the website or call the museum to secure a seat. Q. Can we have a bounce house or other entertainment brought in. A. No. This is an event like a concert, you are coming here to do an activity as your celebration. This is not a rental and therefore you may not use the space for other things such as bounce houses, clowns, balloon artists, family gatherings… The event of the art activity is the event time that you are here. A. pARTy at daco studio is an entertainment event similar to a concert. We do allow cancellations or reschedules but we require a 48 hour notice. Cancellations should be made by phone. This provides us the opportunity to fill the space. We will charge the class fee for reservations not cancelled 48 hours in advance. Public classes are subject to cancellation without a minimum of 10 attendees. Cancellations will be notified via email.